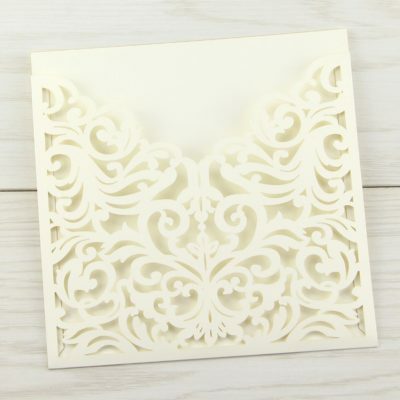 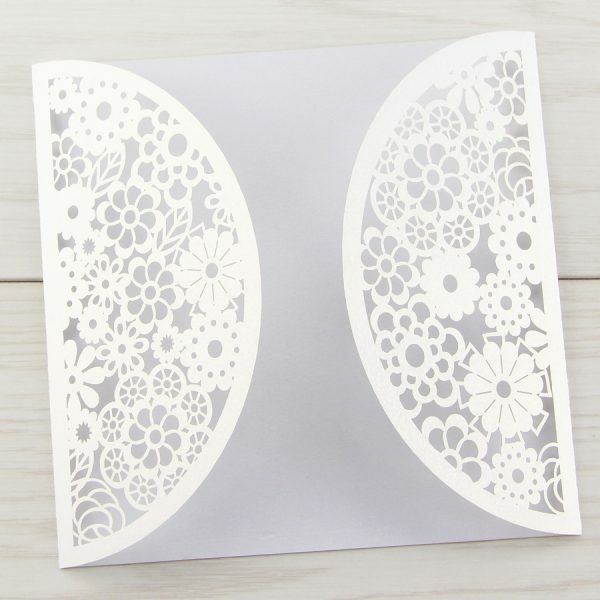 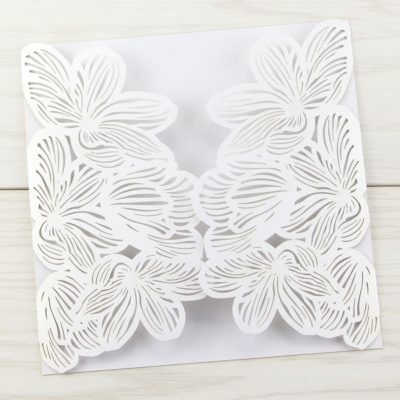 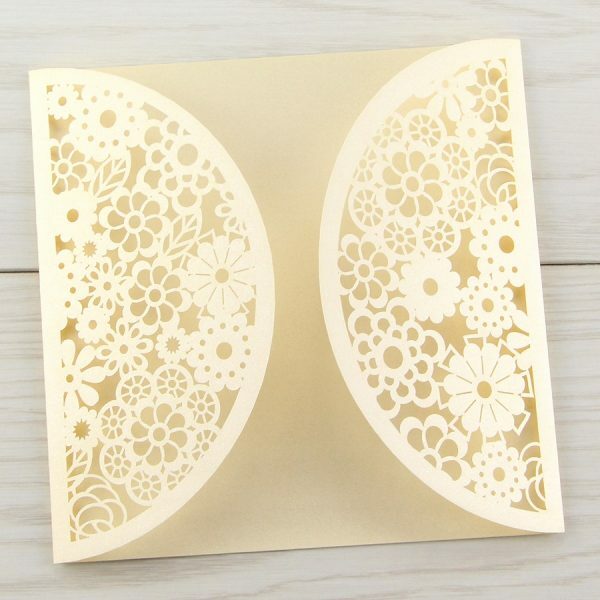 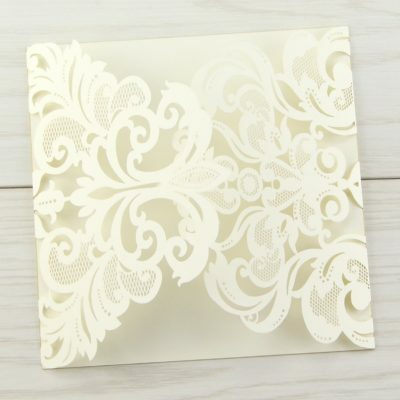 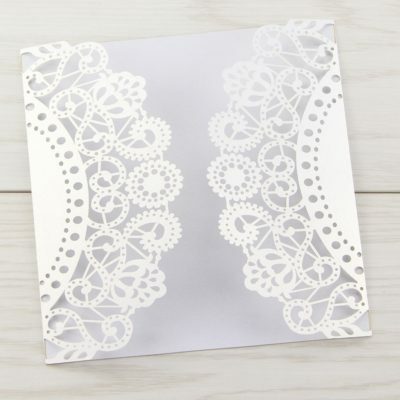 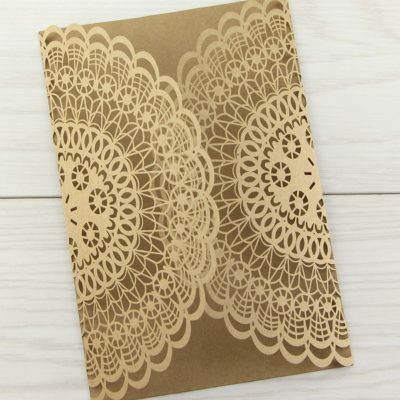 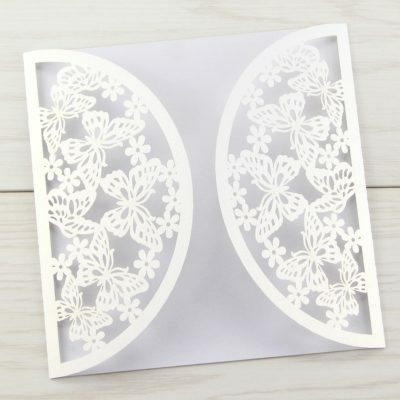 An intricate laser cut with a lovely floral design. 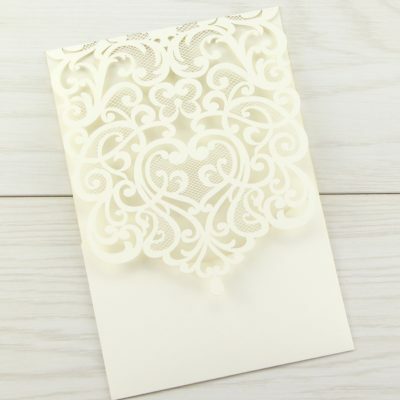 Available in a pearlised card stock, colour choices are white or rich cream. 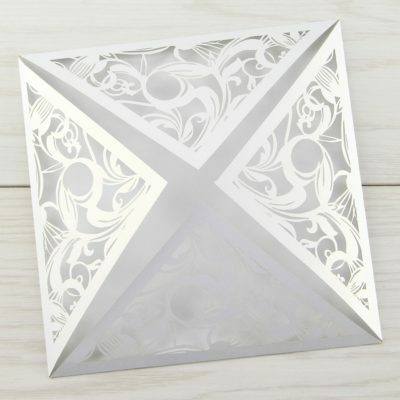 Add an insert to suit your colour theme, to further enhance the design decorate with ribbons and embellishments if desired.